Spetses Town occupies a long stretch of the northeast coast of the island and its houses rise steeply from behind the main Dapia Harbour and harbor-front area. Spetses is an island of Greece, sometimes included as one of the Saronic Islands. 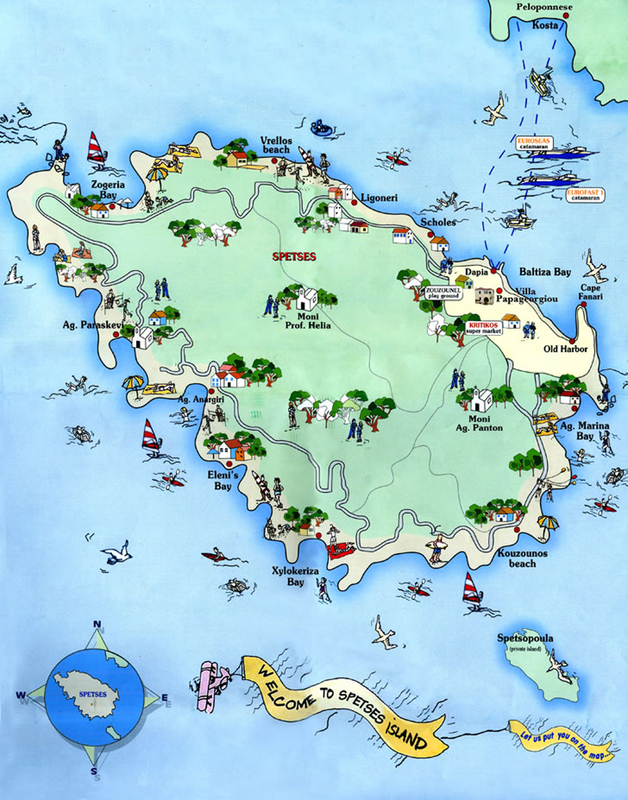 It is a beautiful island with sandy beaches and secluded bays. The capital of the island is an architectural delight featuring many two-storey houses with colored walls and wooden balconies. Only locally owned vehicles are allowed on Spetses. There are not too many of these, although the number is increasing. Hundreds of scooters and motorbikes making a racket more than make up for it. There are motorbike- rental shops everywhere; rental is around €18 to €25 per day. Regular bikes are about €8.